Even though the UNF Wellness Complex provides sanitizing wipes intended to be used on the equipment after each person, not everyone complies. Typical free weights have 362 times more germs than a toilet seat, says a study from FitRated. 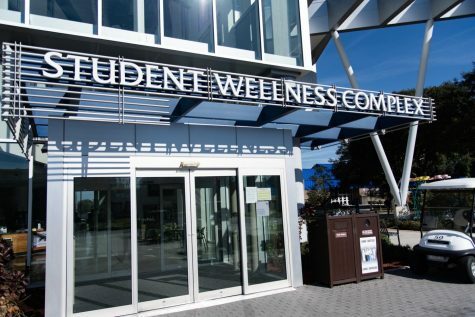 Interested in the sanitization practices at the UNF Wellness Complex, Spinnaker spoke with Ashley Ballard, senior director of Recreation and Wellness and Jim Baur, associate director of Recreation and Wellness. He and Ballard explained that signage is posted to encourage users to utilize the 23 wipe stations available in the facility. There are 6 on the first floor and 17 on the second floor and track levels. Staff is also instructed to spray and wipe down the equipment with hospital-grade Clorox Pro-Quaternary a minimum of three times a day. 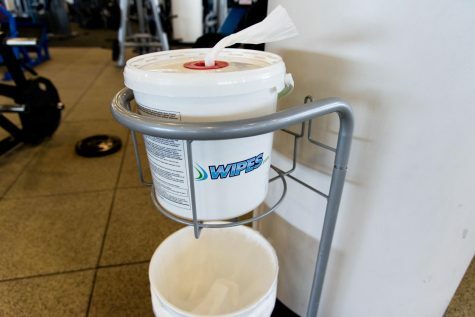 He estimated 800 2XL wipes are used daily, which adds up to over $10,000 a year. 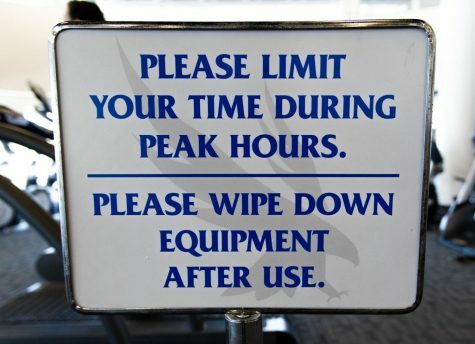 The Wellness Center asks each user to wipe down their equipment after each use. Their staff is also held accountable by the Florida Department of Health, which stops by three to four times per year, unannounced, to make sure everything meets state standards. Additionally, Baur and Wellness staff have cracked and damaged gym pads recovered by an upholstery company once a semester, spending $5-6,000 a year to do so. Ballard said the Wellness Complex has a great relationship with Student Health Services, which provides health updates for members, and printed materials to keep members educated. During the “hot seasons,” especially towards the end of January and beginning of February, they double down with more printed materials and more sanitizer.